William A. 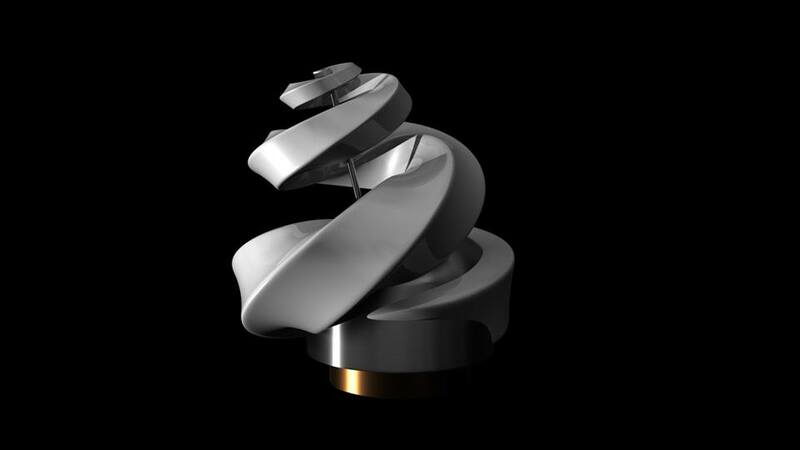 (Bill) Tynan, W3XO, OSCAR Number Administrator has conferred on Shin’en2 the designation Fuji OSCAR-82 or FO-82. The orbit is quite different from the previous satellites. Shin’en2 headed to a deep space orbit between Venus and Mars. The inclination is almost zero, which means it will stay in the Earth’s equatorial plane. 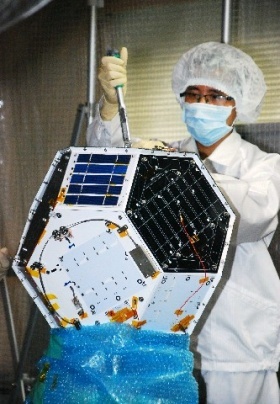 Shin’en2 launched in the 4th quarter of 2014 with another amateur radio satellite, ARTSAT2:DESPATCH, on a H-IIA rocket with the asteroid explorer Hayabusa 2 as the main payload. 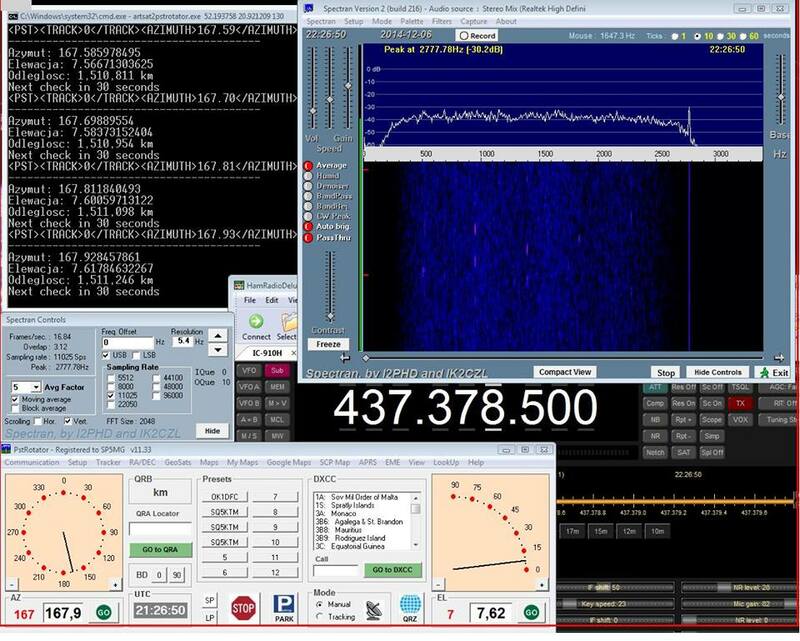 On December 7 the same group of radio amateurs also received the 437.385 MHz amateur radio signal from the Shin’en2 spacecraft at a distance of 1,511,246 km. 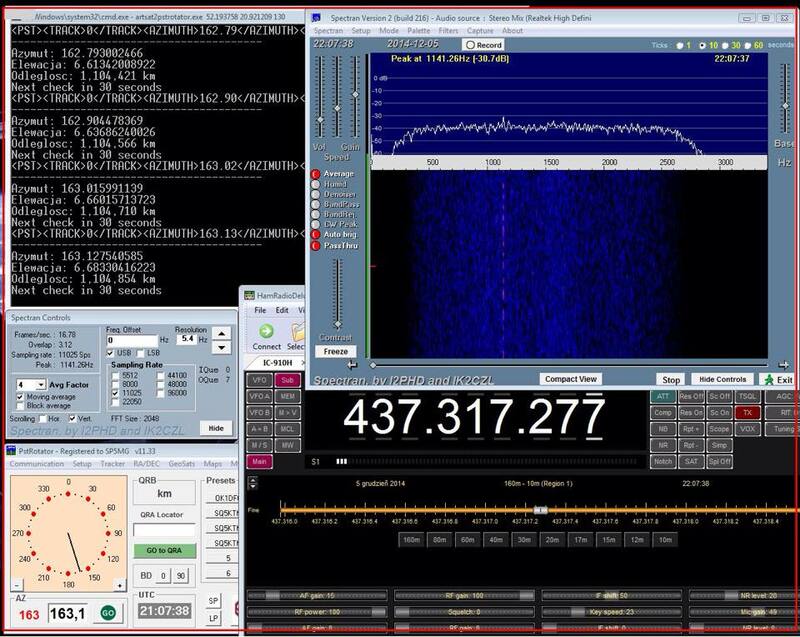 Michal Zawada SQ5KTM reports receiving signals from both the ARTSAT2:DESPATCH and Shin’en2 spacecraft on Friday evening, December 5 at a distance of around 1,100,000 km from Earth. 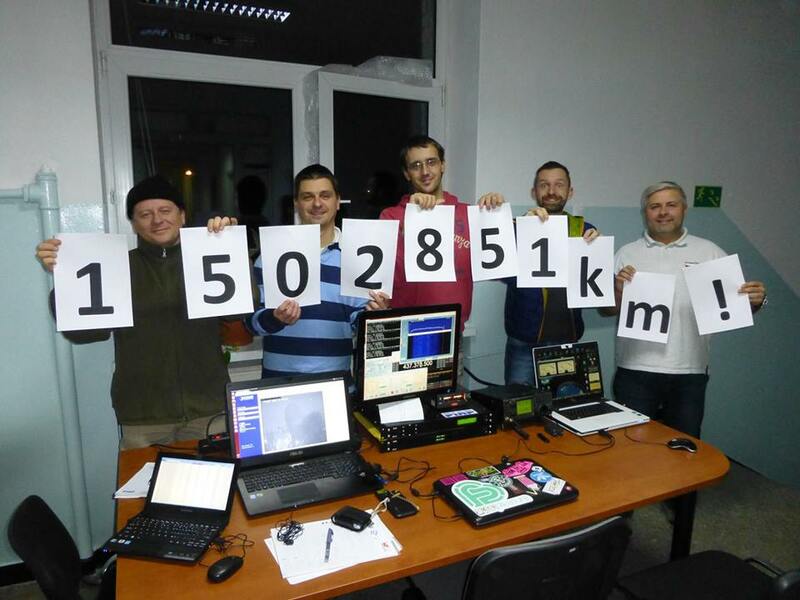 The ham radio group comprising SP5ULN, SP5MG, SQ5RWU, SQ5KTM, SP5XMU and the PIAP Team also received the spacecraft Shin’en2 on Saturday evening GMT at a distance of 1,511,246 km. Thank you very much for your cooperation. We’re waiting for further reports from you! The transmission of will last about for more 10 days (until 5,500,000 km). ARTSAT2:DESPATCH is going to launch on a mission into deep space on November 30, 2014 carring a 7 watt CW transmitter on 437.325 MHz. It will fly with the asteroid mission Hayabusa 2 and another amateur radio satellite Shin’en 2. ARTSAT2:DESPATCH will have an elliptic orbit around the Sun and travel to a deep space orbit between Venus and Mars. Its inclination will be almost zero, which means Shin’en 2 will stay in the Earth’s equatorial plane. The distance from the Sun will be between 0.7 and 1.3 AU. An Astronomical Unit (AU) is 149,597,871 km. Yesterday, we opened a wiki which explains how to join the “Cooperative data reconstruction,” the main mission of Despatch. In this wiki, you can find the CW format as well as how to report the data you received. 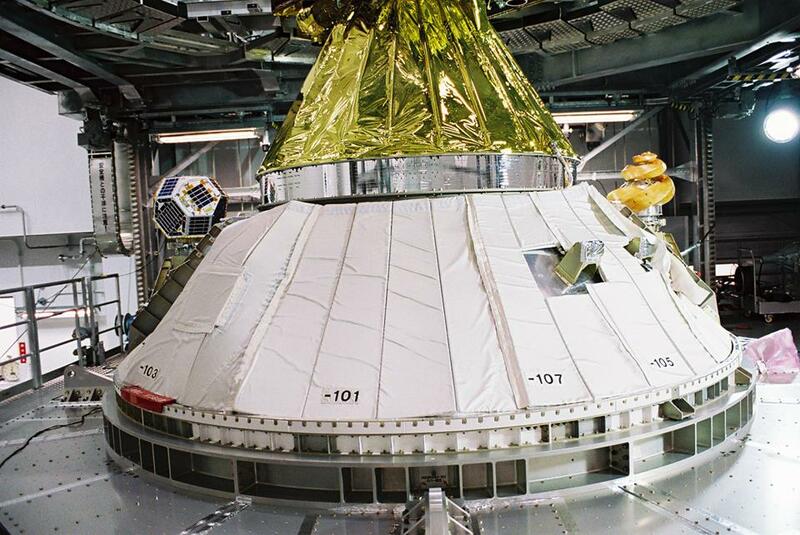 Since Despatch is injected into an Earth escape trajectory, TLE is unavailable. Instead, we opened a web-page for the spacecraft tracking (both antenna-pointing and receiver-tuning). Please go to the page and enter your geographic location, and you will get nearby passes and a table with 1 minute steps that gives you AZ, EL, Freaquency, and so on. As the apparent movement and the change of the Doppler shift are slow, manual pointing of the antenna and tuning of the receiver every 10 minutes or so will do. We opened a web page in which you can report the data you received. 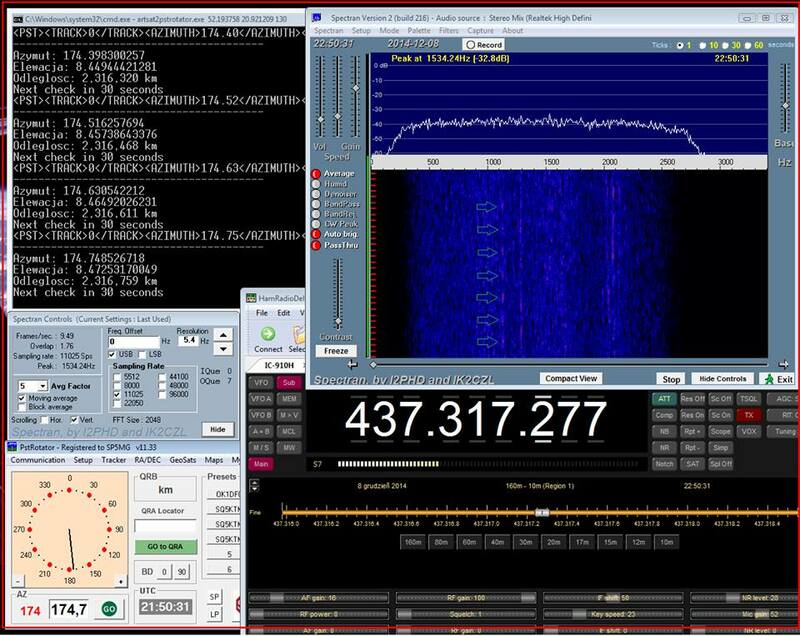 Two amateur radio satellites ARTSAT2: DESPATCH (437.325 MHz CW) and Shin’en 2 (145/435 MHz linear transponder + 437 MHz WSJT) should be launched into deep space at the end of November. 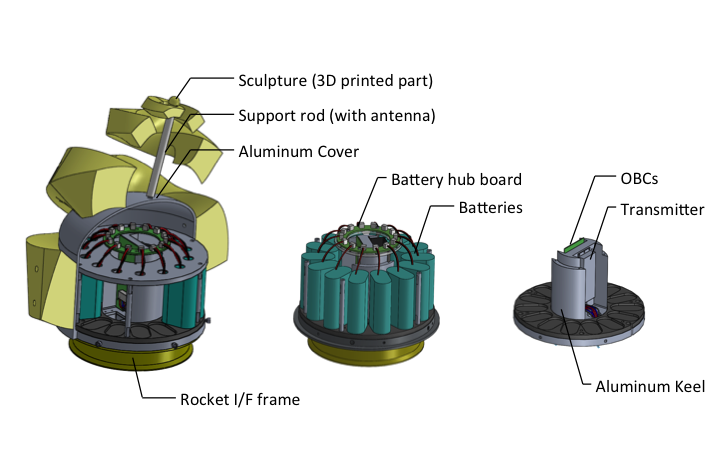 One of the new deep space small satellites, “ARTSAT2: DESPATCH”, will be launched on the end of this month. I developed a predict utilities that display the information got from the Web API data provided by the “ARTSAT” project team. I appreciate your notice for the project.